There are three main types of misdiagnosis a victim can suffer from: total misdiagnosis, late misdiagnosis, and incorrect misdiagnosis. Each type has its own potential repercussions for the short-term and long-term health of the patient, and the severity of each type can vary greatly from patient to patient. 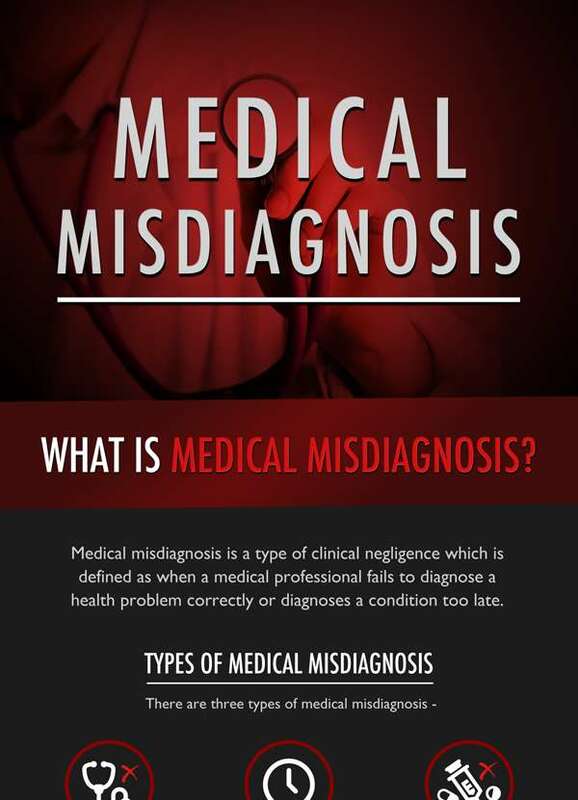 Total misdiagnosis is when a medical professional completely fails to diagnose a health problem, injury or illness – often despite the patient exhibiting obvious symptoms of the ailment. 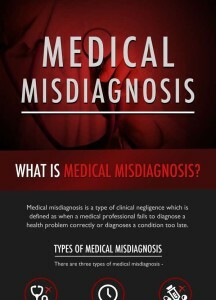 Late misdiagnosis occurs when a medical professional eventually diagnoses a medical problem or illness after the patient’s issue was initially overlooked or incorrectly diagnosed. Incorrect misdiagnosis occurs when a patient is diagnosed with the wrong medical condition, meaning that they can end up being prescribed with the wrong medication or treatments. If you are considering making a personal injury claim due to medical misdiagnosis, the law stipulates you must act within three years of the incident occurring. Despite this general 3-year rule, there are certain exceptions: If the victim is under 18-years-of-age when the misdiagnosis occurs, they have three years from the day they turn 18 within which to make a claim. And if the victim is mentally ill, they may make a claim within three years of fully recovering from their illness. Instances of medical misdiagnosis are on the rise, and despite advances in medical technology and our increasing understanding of medical conditions. In fact, the amount of medical misdiagnosis claims made in 2013/2014 have risen by as much as 18% since the previous year, with the NHS paying out a grand total of £1.6 billion in 2014. The increase in misdiagnosis claims could be an indication of how many mistakes are still made by medical professionals; however, it could also be down to the growing realisation of those effected that they can actually do something about it. From April 1995 through to March 2014, there were 37,528 clinical negligence claims made that related to surgical errors – more than twice as much as those reported for obstetrics and gynaecology (18,132). In the same period, there were 17,479 claims filed for medicine, with 11,676 claims also made for accident and emergency cases.